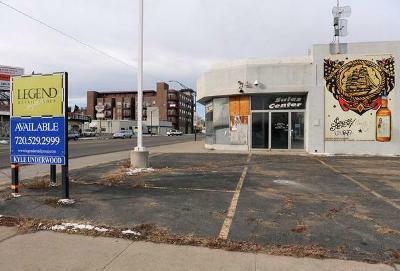 Several weeks ago, Rosen Properties announced that demolition at the new Sunflower Market site on Colfax would begin in April. Since then, Sunflower announced a merger with Sprouts and demolition still has not started. So what's the deal? Sean Mandel sent me this letter explaining that things are still on track despite the merger. I have received several requests for information regarding the progress on the sunflower site, so I thought I would send out a quick note to update all of you on where we are at. First and foremost, in spite of the lack of demolition activity on the site, the process is moving along full speed ahead, and there is no need for concern regarding whether or not the project will come together. Below are some answers to the most common questions that I have received from folks in the area. How does the merger between Sprouts and Sunflower affect this project? Earlier this month, Sprouts and Sunflower announced that they had agreed on a merger deal. For the most part, this merger has little or no impact on our proposal to build a natural grocer on this site. Our lease with Sunflower Market, which was signed before the merger, is firm and does not allow for any reconsideration on their part - even in the event of a merger. Essentially, this lease was part of the merger deal. The biggest impact that this will have on the project is the fact that the market will most likely be a Sprouts rather than a Sunflower. While they have not formally told us this, but what we know about the merger indicates that this will be the case. Anyone that has been in both stores can tell you that these concepts are essentially identical, so this represents more of a change in signage than a significant change in the type of retailer that will be on the site. The merger is in the final phases of execution, and will be finalized in early May. Once that occurs, we will likely have more info for all of you. What is the timeline for demolition? Right now we are working to finalize the design process and better understand how quickly we can get the demo underway. We are currently working with the lenders to understand our financing terms, once the dust settles on this process, we can begin demolition. I share everyone's desire to get this going as quickly as possible, and I continue to push all parties to work as efficiently as possible. I would expect a more firm timeline to develop in the next 15 days. Most importantly, we will keep you posted on this process and will let everyone know when demo will begin well in advance. Has the building been designed? Once the rezoning process was complete, we transitioned full steam into the design phase of the project. Our design team is close to finalizing the design for the building. We are working closely with The City of Denver, to ensure that our plans meet the main street zoning as well as our obligations of the MOU with SCPNA. Again, I hope that in a matter of weeks we will be submitting our plans to the city for approval. I hope that this answers the majority of your questions, if not, do not hesitate to contact me via email. While I know that it is taking longer than expected, I am extremely excited about the design and development process, and I believe that our plans will more than achieve our original intentions of activating this area. I appreciate your patience and look forward to bringing you more substantial updates shortly. Yes, any new updates? And is this development in any way impacted by the discussions about the 9th Ave plans?